To make the blueberry simple syrup, combine sugar and 1 cup water in a medium saucepan over medium heat, stirring until the sugar has dissolved. Stir in blueberries and bring to a boil; reduce heat and simmer until blueberries have broken down, about 3-4 minutes. Strain blueberry mixture through a cheesecloth or fine sieve; let cool. In a large pitcher, whisk together blueberry simple syrup, lemon juice and 5 cups water. Place in the refrigerator until chilled. 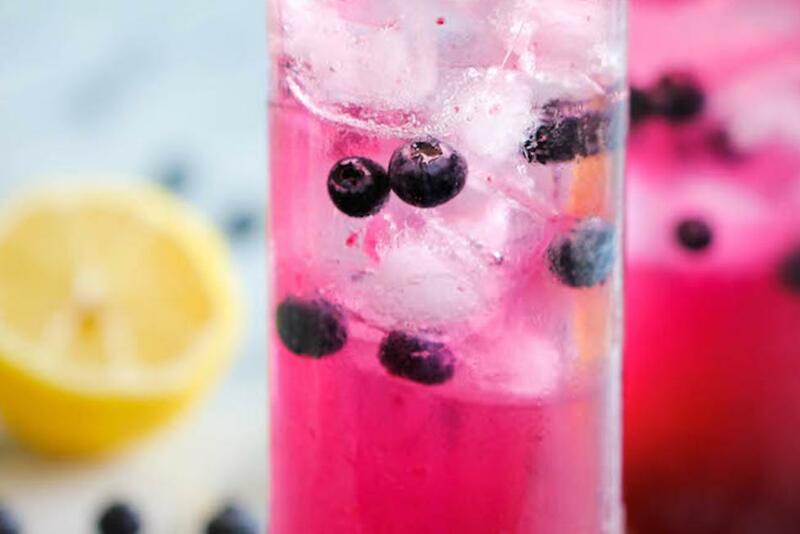 Serve over ice and blueberries, if desired.